Join me for a live event in Seattle! 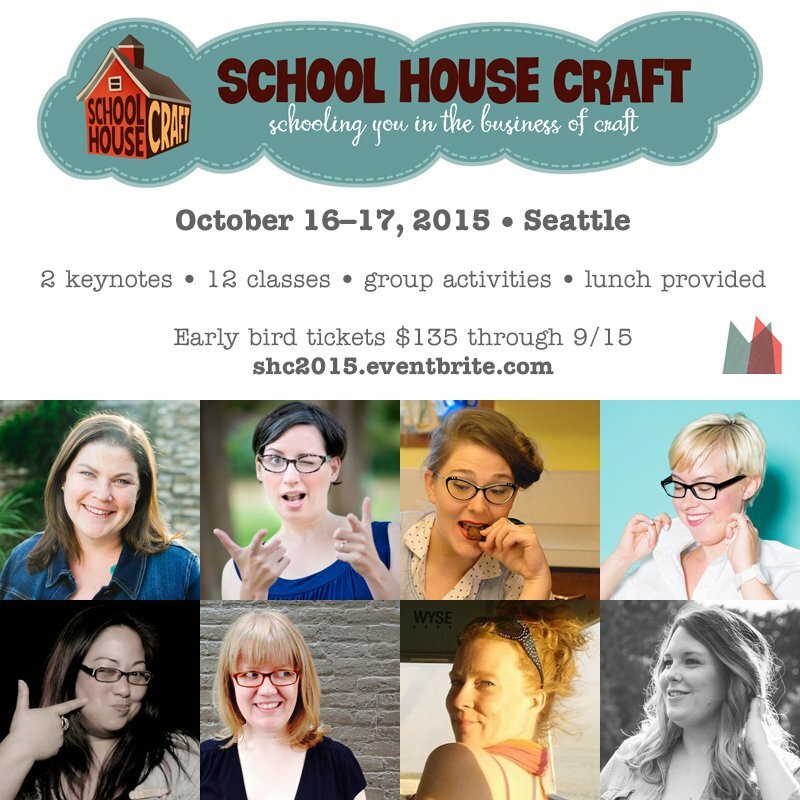 On October 16-17, I'll be at the School House Craft Conference in Seattle, WA! You can grab your tickets here. Get More Done – how to get what matters done, no matter how much time you have. I am SUPER excited! Not only to teach on my favorite topics, in one of my favorite cities, but to get to hang out with the fabulous people who will be there! Y'all know I love Kim Werker and Marlo Miyashiro (Marlo hired me to teach my first-ever live class, for EtsyRAIN, 3 years ago. I was, uh, in need of improvement), and I'm delighted to have the opportunity to get to know the other teachers better. And more than THAT, I'm THRILLED at the chance to see YOU! So if you're in the Seattle area, I'd love it if we can meet and hang out at the conference! Can't wait to hang out with @TaraSwiger when she comes to Seattle for #schoolhousecon! If you're going, be sure to say hello and tell me you're a reader!